Three years ago, I moved to the beautiful city of Los Angeles to be amongst the palm trees, the ocean, and the movie stars. In these past three years, a lot has happened. Some of it good. Some of it amazing. Some of it not so stellar. But I have learned from every moment and loved it all. I’m writing this not as a warning, but hopefully as inspiration. Your decision to move to LA or not should include a myriad of factors that I don’t need to know. I just want you to be prepared for some of the bad as much as the good so you don’t immediately get frustrated and give up. It can be tough out here, but, boy, is it worth it. In the first three months of living in LA, I slept on a couch, had a roommate and several animals in my own large bedroom of a house, was homeless with most of my possessions in my car, slept on another couch, and finally landed in a small studio apartment to myself. There are a lot of people who want to be here. There is a lot of demand for housing. There are a lot of people who will seem to offer you the world and a deal on housing that seems too good to be true. It is likely too good to be true. I don’t know of one person who lives here who didn’t- at some point- have a strange living situation. Be patient and be smart. And if you find you’re over 30 and still live with a couple roommates and barely make ends meet, that’s totally normal out here. And it’s not easy to be normal in this strange land so, congrats! I was technically homeless when I went home for the holidays after moving out here just a few months earlier. The only thing I had to my name was my car. And it was parked in the valley. And some man was mad that holiday season and exploding random cars in the valley. So to be honest, I wasn’t even sure I had that. At some point in your experience of Los Angeles, you will be out of money. You will get a parking ticket and have to choose between it and groceries for the week. You will have spent the last of your credit card limit on new headshots and a casting director workshop only to be told offhandedly that you should probably get new headshots soon. Then your rent will increase and you’ll somehow have to make your first of 6 years worth of monthly car payments. You will get in your car to head to the other side of town, see that you’re low on gas, and go back into your apartment and cry while cursing the heavens above because you can’t afford to put $20 in the tank at the moment. That happened to me one month. It wasn’t my favorite month on record. But my point is this- if you’re used to and need to have copious amounts of money or really lose your mind at a parking ticket, you need to change your perspective before moving out here. Because the entire nature of this city is ebb and flow. This city is filled with people doing odd jobs and really fun, imaginative work. As hard as it can sometimes feel to make money, there are times when you’ll be earning money and shocked by it. Of course, in an ideal creative world you’ll be getting cash for your creative investments and ideas. But before those dreams become realities, you’ll get paid to do odd and fun stuff. I’ve been paid to dress up like a princess, to interview people in Venice Beach about their relationships, to pet and look lovingly at a dog, to hang out at Disneyland, to play silly games on a show, to tell jokes, and to hold a fake baby that a celebrity snatches from me just to name a few. That’s pretty cool. And I know the adventures are just beginning. I am an extremely punctual person. Extremely. My family is punctual. If you’re early, you’re on time. If you’re on time, you’re late. I actually have a visceral gut reaction if I’m running late. My cheeks will start to get hot, my body will get tense, and my voice gets very screechy. It’s unpleasant for everyone involved. I do everything in my power to be punctual. But in this city, you sometimes just don’t have control You have to accept the fact that traffic is heavy and unpredictable and no matter how much you stress or yell, it won’t make any difference in the amount you’re actually moving. Sometimes, you’re just going to be late. But everyone who has lived here a while has been late. So they’ll probably be cool about it. And as long as you know you did everything in your power to get there on time, you can just relax and accept that the traffic gods are smiting you today, but they may smile upon you tomorrow. Unless, of course, you choose to try and go east on Sunset and La Cienega at 6 pm while they’re still doing construction again. Then you’re still screwed. It can’t be considered a city of dreams without its fair share of nightmares. There are plenty of people who make a living out here exploiting people’s emotional investments in their dream. Yes, it’s gross. But it’s a reality. So accept it, be ready for it, and when it happens to you at some point, relax and know you’re officially hazed and welcome to use “the” before you talk about the “freeway” you’re taking. While Los Angeles is filled with some terrible people, the majority of the people out here are incredible, hard-working, inspiring, and creative. I am constantly in awe of the talent level of my peers and the ridiculous endeavors they’re undertaking. I grow as a performer and creative just seeing them in action. I’ve gotten to see some of the best entertainers on the planet in their element for free. I’ve got friends who are in blockbuster movies, on major TV shows, and becoming rockstars. I get to be reminded daily that dreams really do come true. And, while they can come true from anywhere, I’ve found home amongst all the crazy fellow dreamers right here in the paradise we call LA. Kidding! Don’t text and drive! And happy travels! 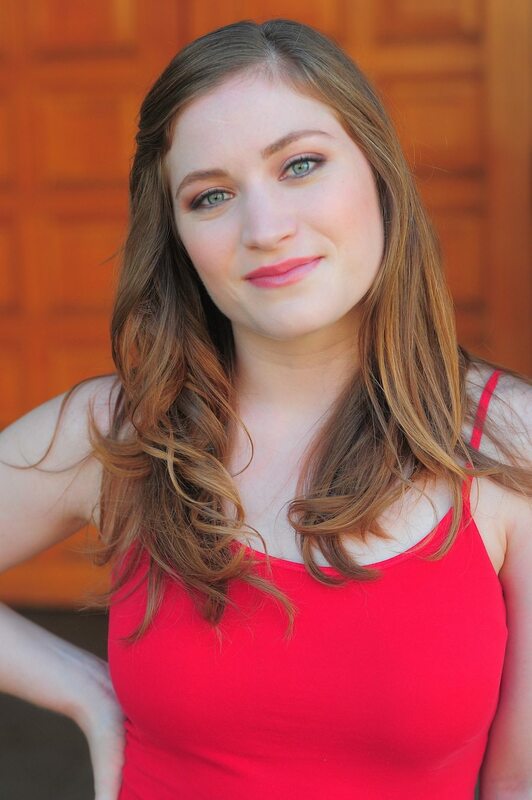 Briana Hansen is an enthusiastic actress, writer, and comedian originally from the midwest who now lives in Los Angeles and loves every moment of it. She trained in improvisation and sketch comedy for years in Chicago and continues to perform and study it in LA. She creates a constantly evolving comedic solo show “Femoir” which has been produced at major comedy theaters and festivals all over the nation for several years. She continues to produce it in bi-monthly in podcast form and onstage periodically. She performs sketch comedy regularly at The Second City with TMI Hollywood and does stand up gigs at major (and minor) venues throughout the city. Her first novel, “Cartoon Confessions,” will be published in spring 2014. She is currently producing and starring in a comedic web series she wrote called “The Other Client List.” She is a major sunscreen advocate.